When it comes to exclusive games, Sony’s Playstation 4 has the most enviable library in the industry. The extensive catalogue of exclusive titles has catapulted the console to market leader position with close to 100 million consoles sold, effortlessly surpassing its Microsoft and Nintendo competitors. Whether you’re into racing games like GT Sport or story driven action games like Uncharted, there’s something for everyone on Sony’s platform. With this in mind, here’s our list of the best PS4 console exclusive games released to date. The Batman Arkham series set the standard for what a superhero game should be and Spider-Man takes the best elements from those games and makes it its own. The result? Simply glorious. The game stays true to the source material when it comes to the light-hearted tone of the Spider-Man universe, but spins its own unique story that will keep you hooked till the very end. The game absolutely nails the feeling of web slinging that makes traversing from mission to mission across the sprawling open-world of Manhattan sheer joy in itself. The game looks incredible and the world is packed with things to do. As you progress through the game, you will unlock new abilities and combat moves, and even iconic Spider-Man costumes from years past, that keep the gameplay feeling fresh. Our only qualm with the game is that some of the side missions don’t consistently deliver the thrilling moments of its main campaign, but that’s something that can be said for any open-world game. Spider-Man is a great adventure everyone can enjoy, but fans of the superhero will absolutely love. Tetris Effect takes the classic puzzle game and marries it with musically infused visuals that make it unlike anything that has come before it. The core game of Tetris remains unchanged, but the additional layers of animations, characters and music combine to convey a mood or provoke emotional response from the player and it succeeds. The experience is made all the more engrossing with support for PSVR. A triumph in game design and easily the best version of Tetris ever made. Detroit: Become Human is a testament to how far the genre of interactive storytelling has come. Its amazing visuals and cinematic presentation is a sight to behold and the choice-orientated gameplay makes the player feel like they are directing their very own Hollywood blockbuster. At its core, Detroit: Become Human is an adventure game that revolves around dialogue choices and exploration. There are entire portions of the game that you simply won’t see, even after your second playthrough. Some characters will live, some characters will die – it really is up to you. Detroit takes place 20 years from now, where slaves in the form of human-like androids can be purchased for any use imaginable. As the story unfolds you are presented with heady themes that games as a medium rarely tackle from prejudice, discrimination and social inequality to domestic abuse. 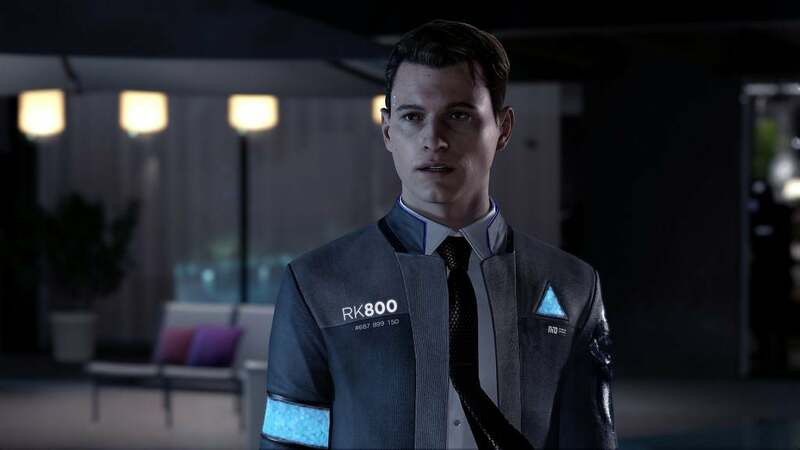 Detroit: Become Human isn’t perfect – there are parts of the game where the script feels ham-fisted and occasional pacing issues crop up more often than we would like. But these blemishes are easy to look past when the core game offers so much. 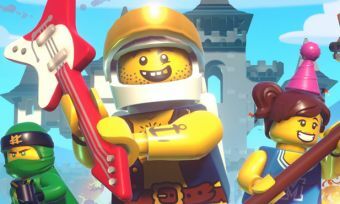 The game is filled with likeable characters and great performances that you feel connected to all of them. The story is so gripping that it will have players jumping back into the game after their first playthrough, and make different choices just so they can see the different endings on offer. If you own a PS4 and never tried a Yakuza game, then it’s time to rectify that mistake with the latest Yakuza. At its core, Yakuza is an engrossing action-RPG crime drama set in an open-world Japan with side missions that are just as fleshed out and entertaining as the main campaign. The gripping stories shift between high drama and sublime silliness in the most delightful way. At one moment, you’ll be taking down a criminal organisation and in the next you’ll be helping someone in dire need of toilet paper. The richly detailed Japanese neighbourhoods are filled with lovingly modelled shops, restaurants and ambience that you’re free to explore at your own pace. And then there are the explosive over the top fistfights the mechanics of which get deeper as you progress through the game. In short: Yakuza 6 is a meaty fun-filled adventure that should not be missed. God of War is an achievement on many fronts. It not only manages to reinvent the series, but also manages to humanise what was once a one-dimensional protagonist. In this new God of War, the furious Spartan warrior Kratos is somebody who can take down a mountain-sized beast, but a conversation with his son – who joins him on this adventure – is a challenge he just can’t overcome. You see the father-son relationship develop through the course of the game, giving the series a much-needed emotional hook that was sorely lacking in previous games. Gone is the linear level design and Greek mythology of previous games, and in its place is a vast open-world set in an utterly beautiful Norse world, with plenty of secrets to discover. The combat is more visceral and fluid than ever thanks to a new over-the-shoulder third person perspective, while the puzzles and story driven narrative break up the action nicely. Meanwhile Kratos’ new weapon of choice, the Leviathan Axe, is so much fun to use that it just might be the best weapon in a video game yet. Post-apocalyptic wastelands have been done to death in games, but Horizon Zero Dawn’s depiction feels completely fresh. Set hundreds of years after a mysterious event brought about the end of modern civilisation, tribes have slowly begun to rebuild. The lush and expansive open-world landscape consists of now-verdant ruins of metropolitan areas and a wildlife filled with enormous dinosaur-like machines that make every encounter a puzzle in itself. The action is a blend of fast-paced combat with slower-paced, tense stealth sections and it nails the balance perfectly. The loot-and-craft gameplay will have you searching every corner of this wonderfully realised world. Then there’s the gripping narrative that is delivered with a cast of memorable characters and a stellar visual presentation. Bloodborne was the first truly must own title on Playstation 4 and four years later that sentiment hasn’t changed. 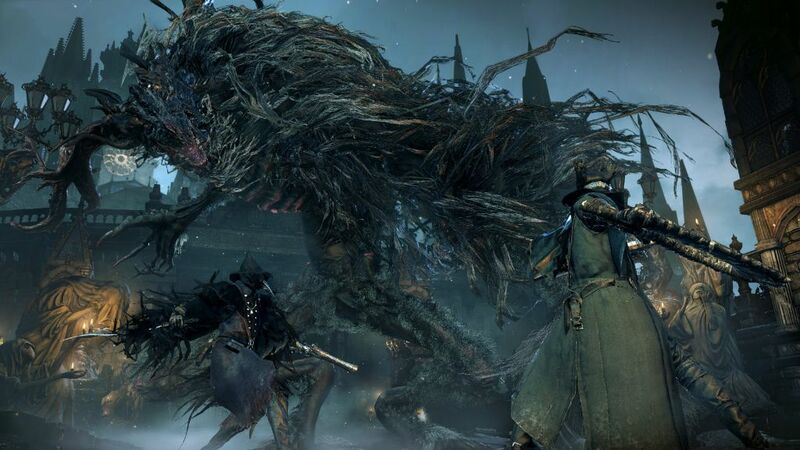 With Bloodborne you’ll want to fight every monster, try every weapon and explore every nook and cranny of the terrifyingly decrepit gothic city of Yharnam. The combat is gloriously frustrating and excitingly intense in equal measure. While its crushing difficulty might not be for everyone, you owe yourself to at least give it a try. The occasional pacing issues aside, Uncharted 4 is a game that must be experienced by every PS4 owner. A rip-roaring action-adventure title filled with set-pieces that very few games can match. Released after Uncharted 4, Lost Legacy takes the bombastic spectacle that the series is renowned for and entwines it with a new standalone story centred on the likeable Chloe Frazer who first debuted in Uncharted 2. The game is just as entertaining as previous entries and definitely a must play for anyone remotely interested in action-adventure games. The studio behind the Wipeout series may be no more, but their work lives on through the Wipeout: Omega Collection. The game brings back the memorable vehicles and tracks from previous entries in the series and brings them into the modern era with updated visuals. 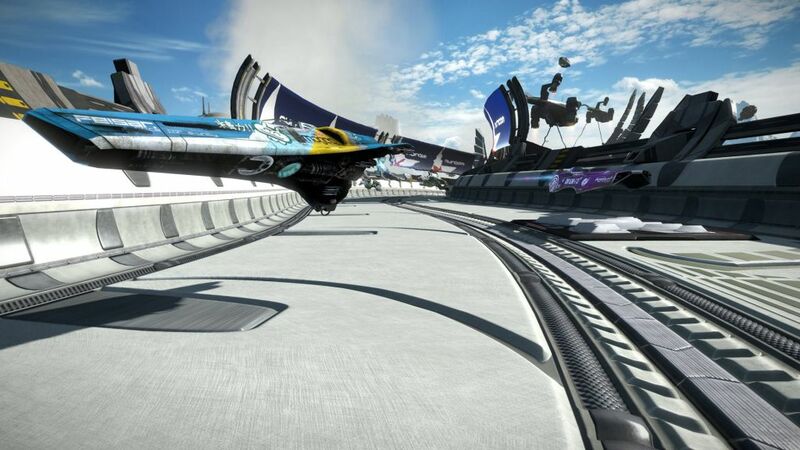 Whizzing around tracks at blistering speeds with the iconic music playing in the background, it’s easy to see why Wipeout was once a name synonymous with Playstation. The game is also completely playable in virtual reality thanks to PSVR support which takes things to the next level. A must-have for fans of Sony’s futuristic racing franchise and newcomers alike. Gran Turismo Sport is an admittedly trimmed-down experience when compared to past games in the series, but that doesn’t take away from the fact that it is still one of the best racing games available on Sony’s console. 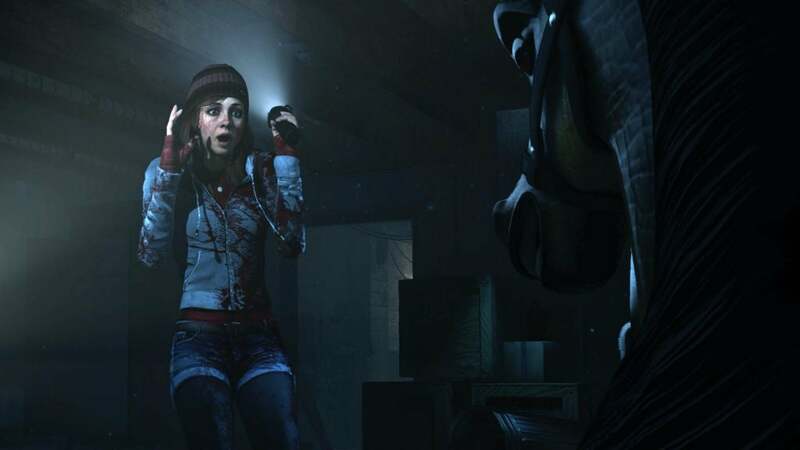 A throwback to the teen slasher films of the 1990s, Until Dawn is a game where your decisions – even the seemingly trivial ones – matter throughout the course of the 10-hour playthrough. A fun romp that horror fans shouldn’t miss. Ratchet & Clank is perhaps the gold standard of how a remake of a beloved classic should be done. It takes the original PS2 platformer and modernises it in every way with breathtaking visuals, Pixar level cutscenes and dialogue that drive along the entertaining story. It’s not a complete retread of the familiar either, with new gadgets, guns and gameplay elements to keep longtime fans on their toes. Before 3D visuals took over the industry, gaming mostly consisted of a tiny spaceship sprite blasting away two-dimensional aliens. The genre known as shoot-em-up or “shmup” for short was largely kept alive in the modern era by a studio known as Housemarque who produced titles like Super Stardust. 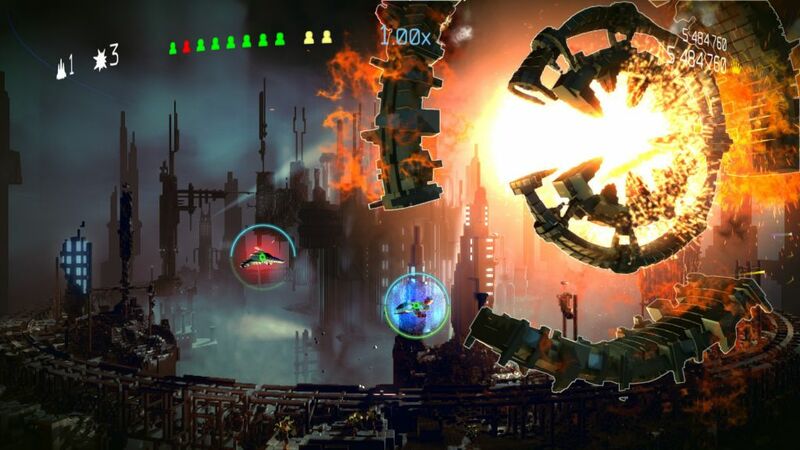 But its best work debuted alongside the launch of the Playstation 4 with 2013’s Resogun – a stylised fast-paced side-scrolling shooter, with gorgeous 3D pixels. Six years on, Resogun remains one of the most addictive and enjoyable titles available on the platform – a testament to its quality. For fans of the genre, Resogun is an absolute must play.